Thank you to everyone who came out to join us in decorating Valentines for our #lovethatlot party! We filled ice cream cups over and over, glued gems and hearts, and shared some laughs. 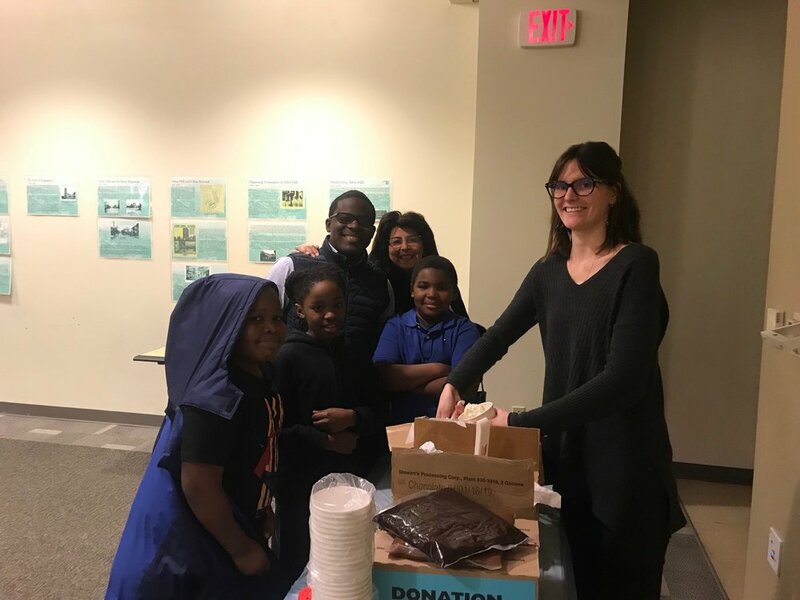 We had Charlotte our Master Professional Hot Glue Gun Operator, our Speedy Ice Cream Scooper, Leah, and of course Erica our photographer and timekeeper (not pictured), who worked together to run a smooth event. Photos from the event are below! Of course Blayne ventured out into the snow for us to place our #lovethatlot Valentines around some of our vacant lots. If you see one of our Valentine’s while your out and about make sure to snap a pic and tag us on social media! 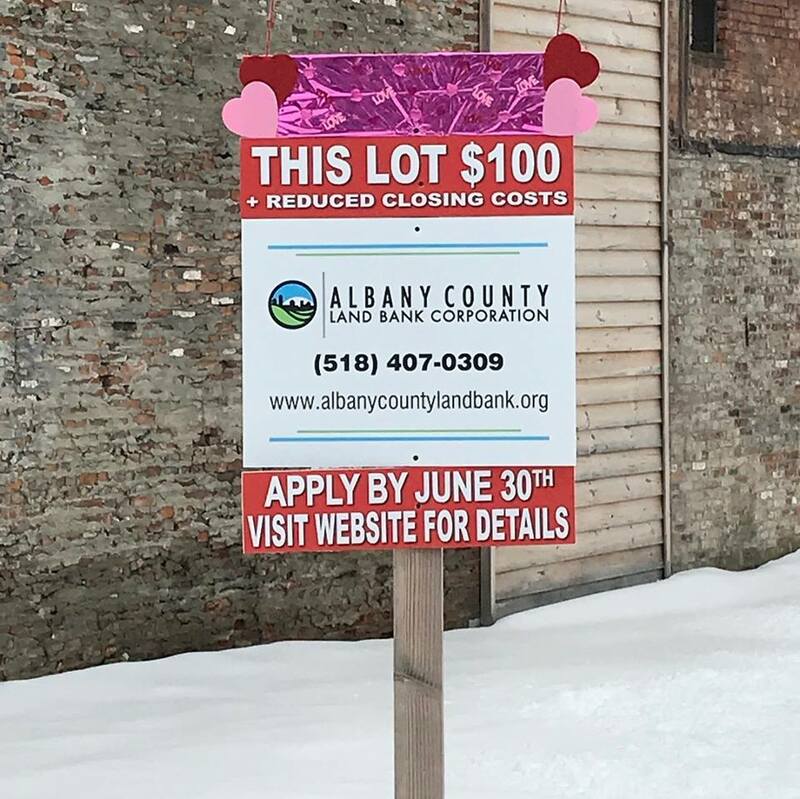 Our Love That Lot event is created to bring our community together, to recognize what the Land Bank does to revitalize our community and to bring Valentine’s love to some of our vacant lots. Spring is around the corner, this is the perfect time of year to spread some cheer throughout Albany. We’re not looking for anything extravagant, just your creativity! Below are some examples that Land Bank staff have already created in preparation for the event. Please come join us, meet us, create and fill up on ice cream! If you have any questions regarding the event please reach out to our office, 518.407.0309. Looking forward to seeing you! Adam’s creativity at it’s finest! Older Post Meet the Crew!